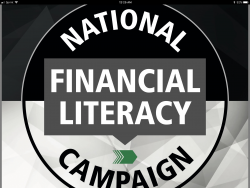 As a WFG Associate, I am looking for competent & driven Veterans to join my team in the financial industry as we seek to educate Americans on Financial Literacy. As a team member, we will show our clients how to make their money work for them thru Debt Management, College & Estate Ling Term Care Planning. If this sounds like you, then feel free to call or email me personally at 240-603-4294 or klmwfg70@gmail.com.